Previous blogs have focused on only a handful of the estimated 25,000 diverse applications for the industrial hemp plant. The emerging industrial hemp industry has incredible growth potential. Few raw materials can compete with hemp’s attributes, and few crops are as eco-friendly and sustainable as fast-growing hemp. Many of its resulting products prove to be not just carbon neutral, but carbon negative! One of its most exciting applications is as an alternative source material for the production of “plastic” items that are currently made from finite fossil fuels, a limited resource that is being substantially depleted. Hemp provides the foundation for an industry that is not only beneficial to our planet but that could provide countless new, sustainable jobs and a boost to our country’s economy. The business possibilities are as abundant and diverse as the uses of hemp itself. But before there are products, hemp must be cultivated, requiring related industry services to farms and farmers. It must be harvested and go through one or more processes to separate parts of the plant or perform extraction, depending on its proposed end use. Other sectors of the industry include research, development, design, manufacturing, packaging, marketing and retail. [hemp is] unfettered by Federal regulations.” He sees hemp as an amazing opportunity to build a multifaceted industry, beginning in our home state of Colorado. Paiss cites the diversity within the industry as a considerable strength and says, “Innovation is the key at this point.” But, he points out, this country can benefit from this potentially thriving industry only when US supply can meet demand. Industrial hemp is grown legally in more than 30 countries. The United States is one of few industrialized nations where hemp farming is banned – equating to huge economic losses. Hemp product retail sales in the US in 2014 were estimated at $620 million. Much of the hemp used in those products was sourced from Canada, China and other countries. Industrial hemp sourced in the US would return lost dollars to our own economy and create tens of thousands of sustainable, green jobs. However, this can happen only if restrictions are lifted on the cultivation of industrial hemp nationwide. A majority of states have passed pro-hemp legislation, but the core of the industry—hemp farming—remains highly restricted. In January 2015 the Industrial Hemp Farming Act (IHFA) was introduced in the US House (H.R. 525) and Senate (S. 134). If passed it would lift all restrictions on the cultivation of industrial hemp nationwide and remove its classification as a Schedule 1 Controlled Substance. 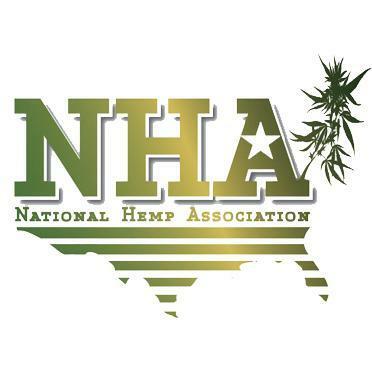 The National Hemp Association encourages you to add your voice to free hemp by signing a petition which will be delivered to the US legislature. Passage of the IHFA is about our basic freedoms, the economy, jobs, the environment, and quality products that can be sourced from industrial hemp and made available to you. Pure Hemp Botanicals is proud to offer a great selection of these products made from industrial hemp grown in Colorado!